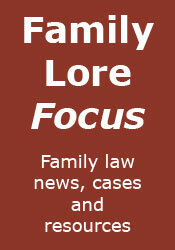 Family Lore: LSC: Guilty of 'sharp practice'? LSC: Guilty of 'sharp practice'? Still on the subject of public law proceedings, it is obviously essential that parents facing the possibility that the state may remove their children from them should be properly advised and, if necessary, represented. It is therefore with considerable dismay that I hear more and more complaints about failures by the LSC to properly and promptly remunerate lawyers doing child care work. The latest such complaint is in a letter from William Bache of William Bache & Co, published in the Gazette today. He refers to the recent closure of West Midlands legal aid firm Jewels, and agrees with Mark Jewels that that "melancholy event" was most likely caused by late payments by the LSC. "...reductions in amounts once allowed; rejections of major claims for the most miniscule of reasons; and disallowance of items that their declared policy says are allowable." "...more excellent firms will fail, leaving a vulnerable section of our community without the expertise they desperately need to deal with the visceral issues connected with the potential loss of their children." It is not, of course, just that firms will fail - many others will simply choose to stop doing this vital work. What then for the likes of Tiffany and Mike? And for any lay person thinking that this is just another example of the bleating of fat-cat lawyers, think again. Most child care lawyers are doing this very difficult and complex work for the sort of limited rewards any self-respecting fat cat would consider loose change, and at the very margin of profit. UPDATE: Please read the first comment to this post, which seems to sum this issue up nicely. I think Bache is spot on. I've never been sure whether it is incompetance or deliberate policy on the part of the LSC. When we had our finacial stewardship visit, and were looking at Legal Help claims which had been reduced by the LSC, they admitted that the dispted claims had been made in line with the guidance which had been available at the time, and were correct in accordance with that guidance, and with the specific information which had been given to us by the LSC when we asked for clarification, but that as the guidance had since been changed, our claims had been retrospectively assessed agaisnt the new guidance and reduced where they didn't comply with it. So we have had payments recouped, because we didn't comply with guidance which didn't exist at the time we made the claim. We took the view that while we would have an excellent case for JR we cannot justify the time and cost, as from a business point of view we are better off giving up Legal Aid. That is all very interesting, and confirms much of what I have heard previously and suspected - many thanks. I particularly liked the nonsense of having payments recouped because you didn't comply with guidance that didn't then exist! Only the LSC could come up with that! Sorry to hear that you did not succeed with your contract renewal - entirely understandable that you have decided to give up legal aid. Clearly, the Mike and Tiffany's of this world are of no consequence to the LSC. "if the judge does not write “DISTRICT JUDGE X” or “HIS HONOUR JUDGE Y” beneath his / her signature the form is invalid and we don’t get paid. Presumably the justification for this is that there is widespread forgery at the bar of judicial signatures AND theft and misuse of the court seal." That this sort of denial could even be contemplated is frankly an outrage. Yes, I saw that. Appalling. i may have whined about this before (if so apologies). my own very small experience of this sharp practice on the criminal side was when covering a saturday at the mags. i got out of bed to get to croydon for 9.30, represented one client taking about 2 hours in all and applied legal aid as instructed. there being no usher, i asked the legal advisor to stamp the forms, who declined and said practice in the court on saturdays was for them to be done at security (!?). i went to security where some lithuanian chap said what i recognised as 'errr no'. i sent the form the next day to the central unit. months later instructing solicitors got a letter refusing to pay as the form had not been stamped. they forwarded my backsheet explaining what had been done. legal aid said a legal adviser would not have refused to stamp the form. end of. hardly odd if people who don't get paid decline to offer representation. my fee was only £50 anyway! In my local Family Proceedings Court the Legal Advisors don't have a seal,so they can't stamp the forms. We have to get him/her to compelte and sign the advocacy form, then cross to the office and queue at the counter to get them to stamp it. If they happen to be busy, this can add an extra 10 minutes. Which, when it happens every time, and on the basis that it's all unpaid time, starts to add up. On the positive side, I did have a Circuit Judge last week mark the end time for all of as as being 1/2 hour after we left his court,on the basis that he accepted that we were all going to go out and sit down with ther parties to agree contact arrangements (in a complex care care which involves 3 different types of contact) which he agreed was far more efficient than either having him sitting there and us having to try to work it out in court, simply so we could get paid, or us going out, hammering it out and then waiting to come back in for him to approve it and sign our form, particularly as he had a case waiting which was likely to run, and which we would then be in dnagert of getting stuck behind. Thanks, Bagpuss. Glad to see there is some common sense out there! Our firm submitted a High Costs Case claim which consisted of 5 clsclaim1's for the various pre and post contract stages we incurred. The LSC then decided that because the FGF totals on the pre-contract costs differed from their records by 2p (despite agreeing with Counsel's fee notes), they rejected all 5 claims instead of simply returning the 1 offending claim and processing the remainder. We then had to resubmit the lot and go to the back of their que for all of our claims. Priceless stuff from the charmers at the LSC. The really sad part is that I would bbet that none of are are remotely surprised at reading each others experiences..
No, I am certainly not surprised. It is many years since I did any legal aid work, but even then I had similar experiences to those described. So often, a problem could have been resolved by a simple phone call from the LSC, rather than sending everything back (which surely makes more work for them as well, as they then have to start again from scratch), or by the application of a modicum of common sense - a commodity sadly lacking at the LSC. Win a Divorce - On Valentine's Day!